This free online course Introduction to Mobile and Cloud Computing will help you to gain an insight into the development of mobile and cloud technology. 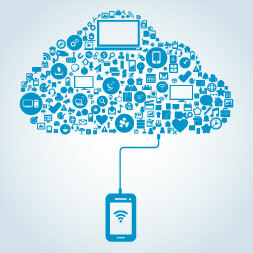 The course will look at how the different types of mobile technology, and the emergence of cloud computing. First, you will be introduced to the basics of mobile communication. You will learn about the different types of mobile devices and their functions. You will be introduced to both Android, and mobile wireless communication. You will also examine the impact of 4G mobile wireless WiMAX. Finally, you will look at the influence of cloud computing. In particular, you will study the emergence of cloud computing. You will also examine the services cloud computing can provide, and learn about the providers of cloud computing. This course will be of interest to anyone who wishes to learn more about mobile and cloud technologies. It will also be of interest to anyone looking to increase their knowledge of how software works and interacts with hardware.